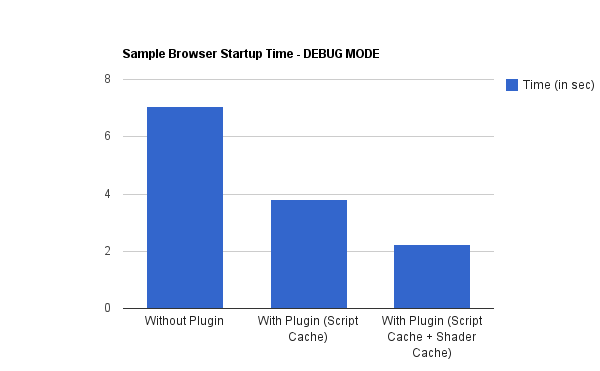 The Script Cache plugin attempts to speed up the time taken to parse resource script (like *.material, *.program etc). This is done by caching the binary representation of the compiled script (in memory) to disk, when the application is run the first time. Then on subsequent runs, the scripts would no longer be re-compiled again since their binary representation is already present in the cache. 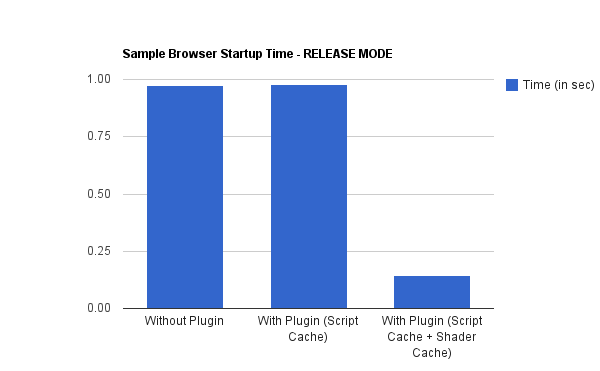 However, if the script is modified by the user, the cache would automatically be discarded and the modified version would be compiled and cached again. Open plugins.cfg and add an new entry for this new plugin. Note: The Script Cache directory should not be added to your resources.cfg if you include your plain-text scripts. However, if you wish to deploy only the binary scripts, then remove the references to your plain-text scripts and add the Script Cache directory to resources.cfg. Contributors to this page: CoreDumped . Page last modified on Wednesday 02 of February, 2011 23:06:39 GMT-0000 by CoreDumped.